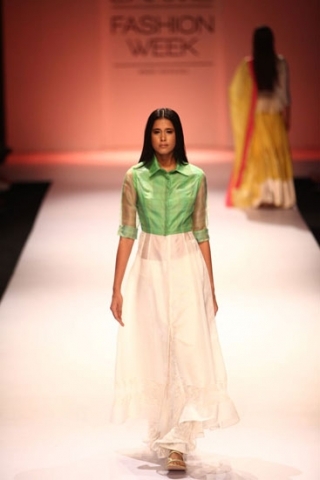 Asymmetry is a strong part of this collection and can be see through the necklines, hems, and drape of the clothing. 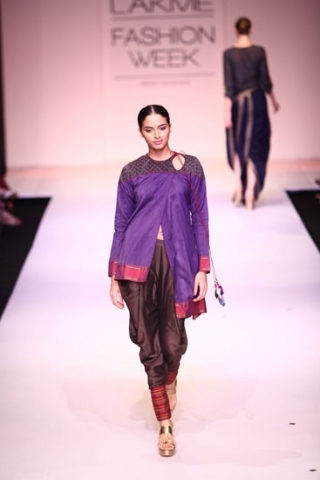 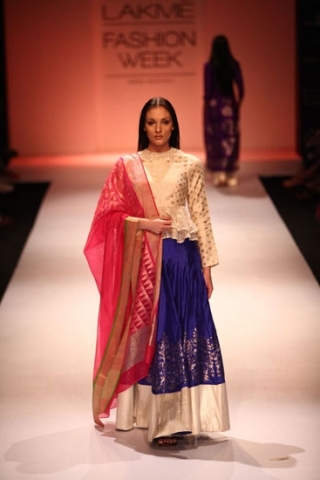 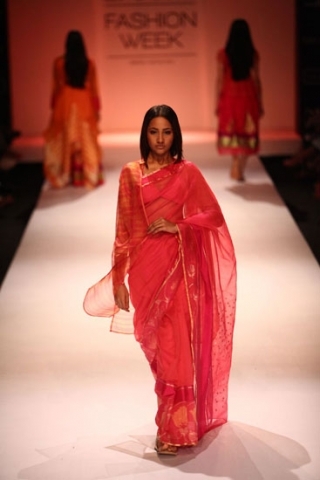 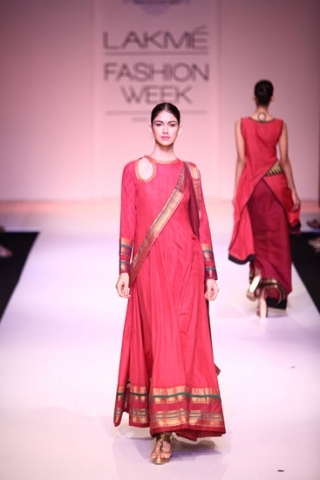 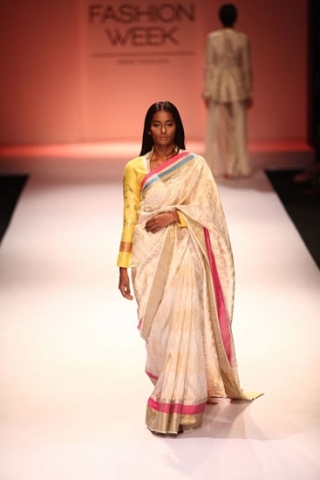 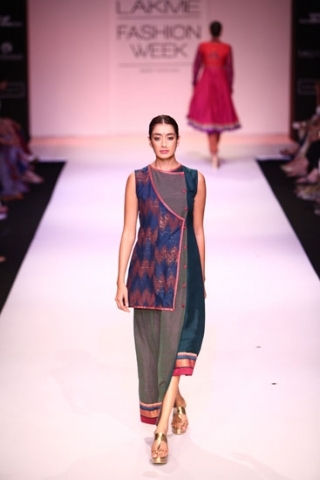 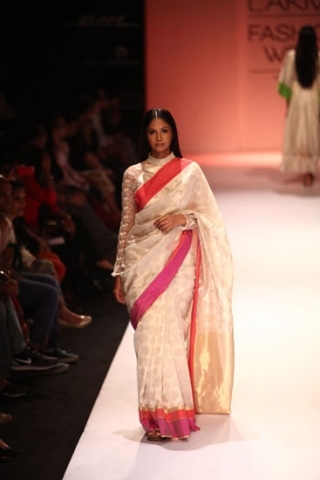 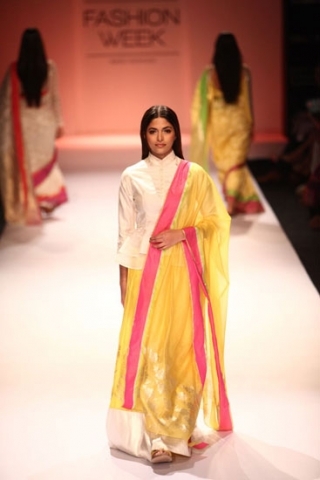 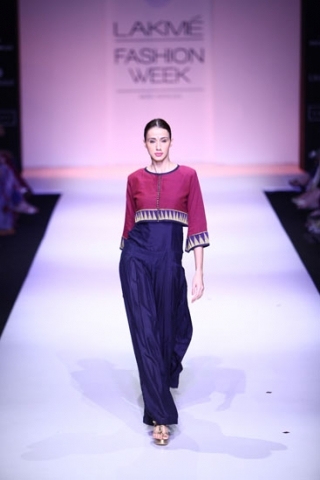 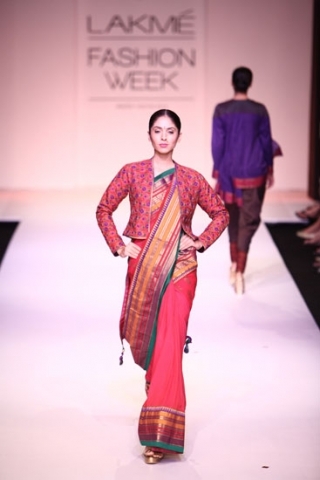 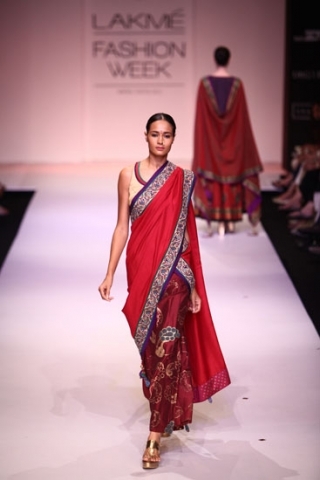 Loving the silk fabric and the dhoti pants with silk cuffs at the bottom. 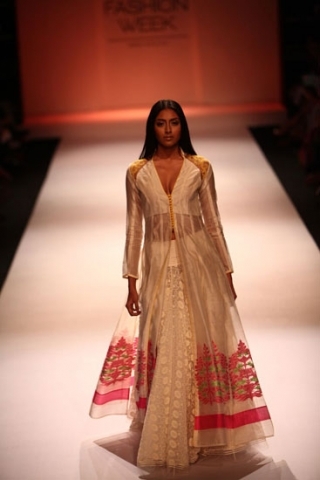 The items are beautiful and have a trendy touch to them. 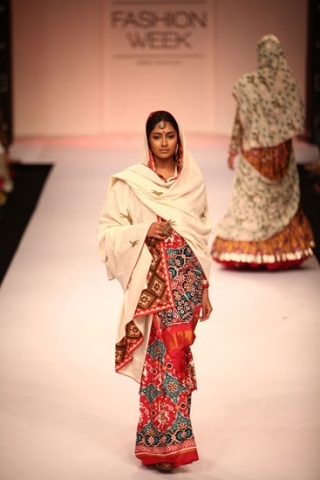 The prints! 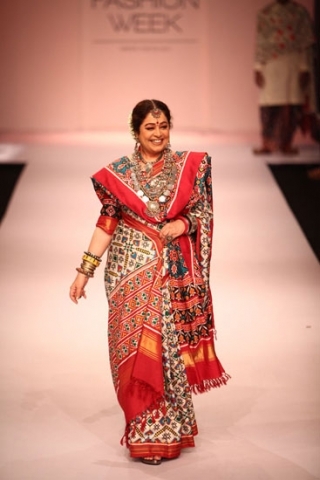 What else needs to be said? 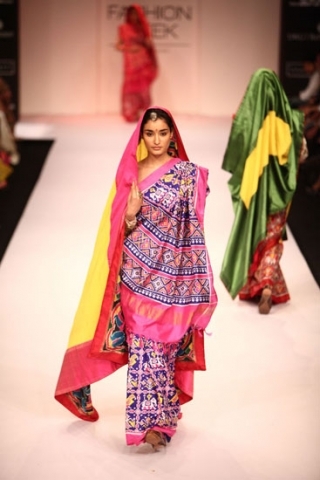 Gorgeous prints using contrasting colours. 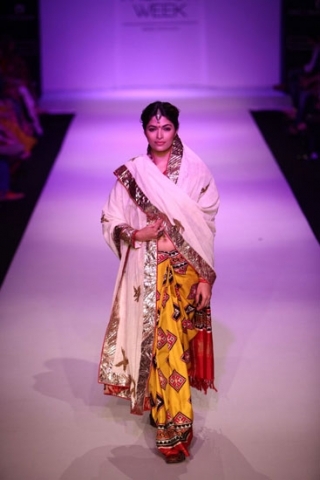 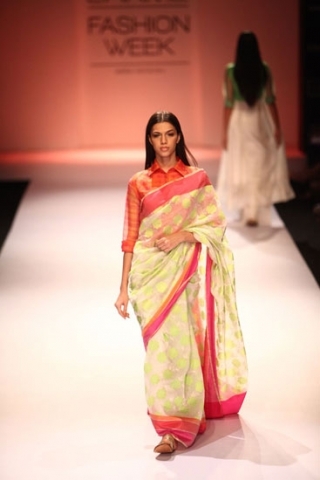 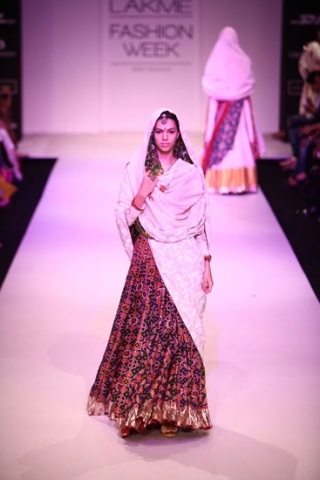 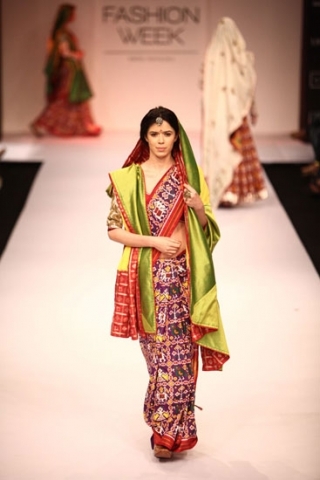 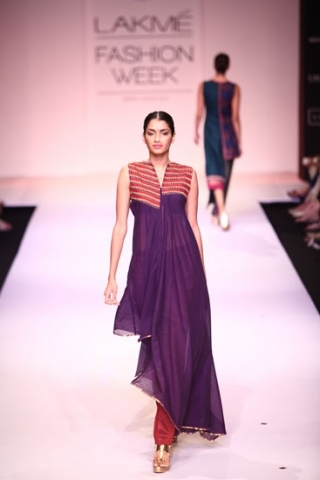 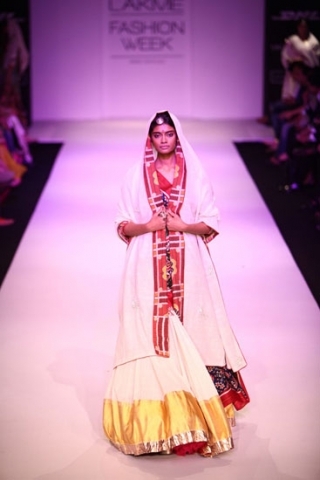 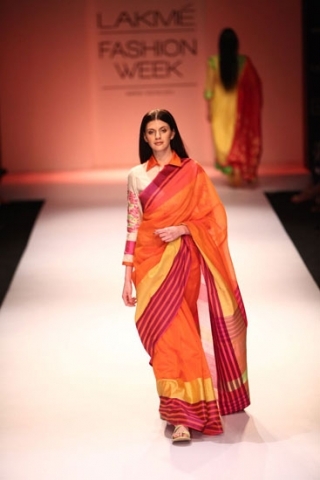 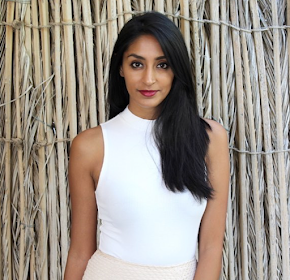 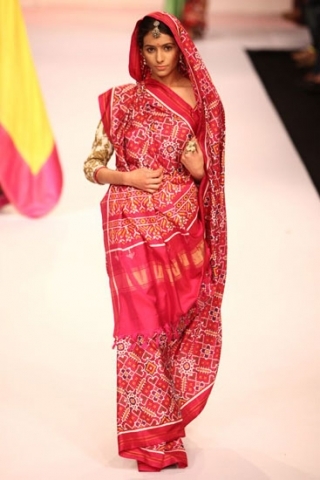 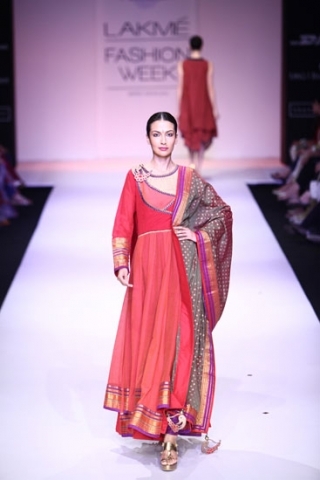 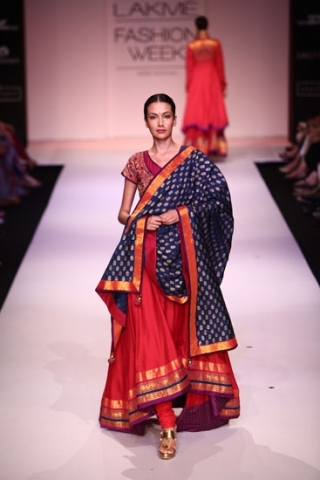 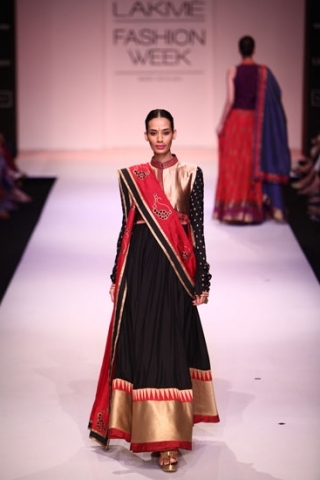 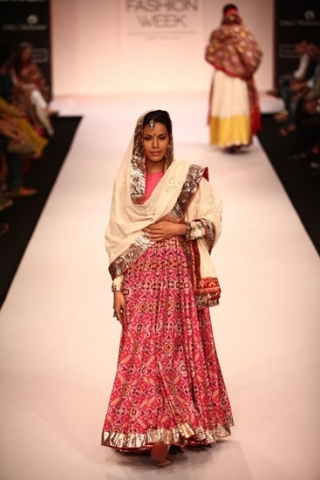 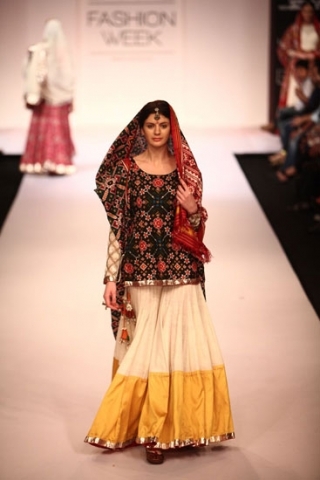 The prints and the jewellery are somewhere reminiscent of traditional Rajasthani fashion. 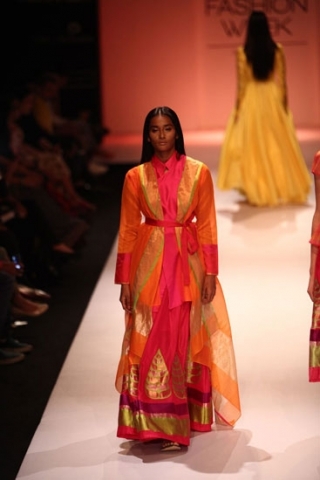 With a western touch, Rahul Mishra has created a colourful (and a bit conservative) collection. 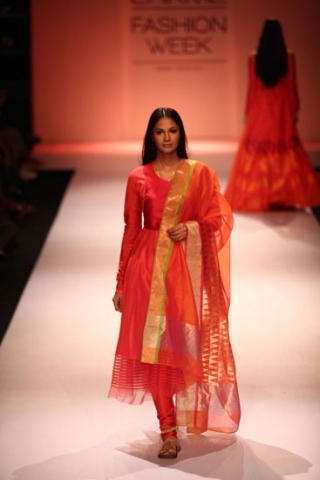 If Mrs. Obama was to wear Indian clothing, this would be it! 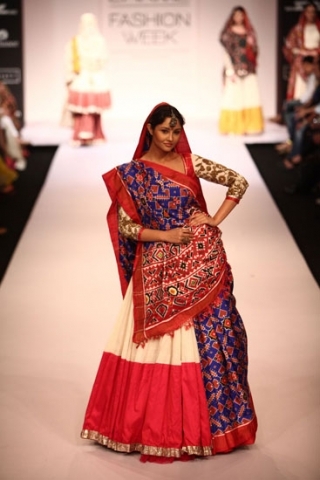 Three different and somewhat conservative collections on Day 5, which do you prefer?